A jewel of an Elizabethan House featuring opulent interiors. 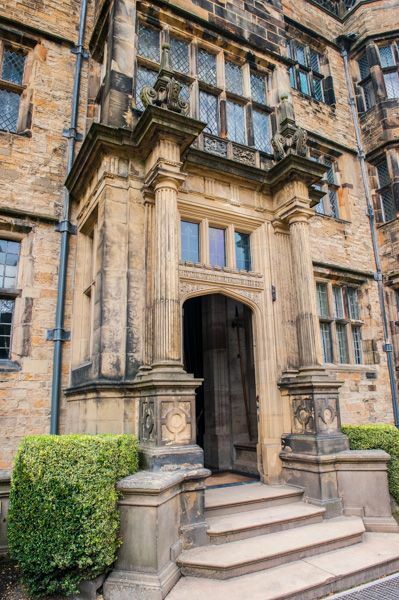 Gawthorpe was built between 1600-1605 around a medieval pele, or fortified tower house. 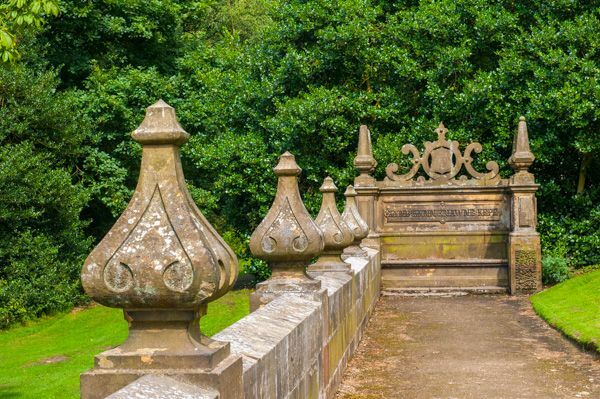 The architect responsible was probably Robert Smythson, and Gawthorpe bears more than a passing resemblance to Smythson's triumphant work at Hardwick Hall. The interior displays original 17th-century ornamental plasterwork and wooden panelling. The house was greatly modified between 1849-1851 by Sir Charles Barry. Some of Barry's original architectural drawings for the remodelling are on display in the Hall. Worthy of special note within the Hall is a superb collection of textiles, with over 300 historically important textile works on view. In the Long Gallery are portraits of 17th-century nobility, many on loan from the National Portrait Gallery in London. Beside the house is a formal parterre, and further afield there are trails through open woodland. 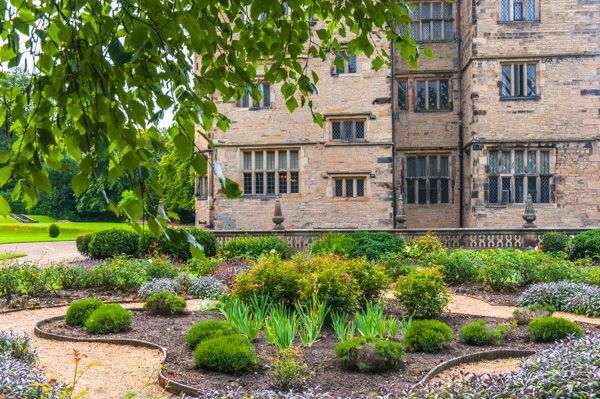 Note: Do not mistake THIS Gawthorpe Hall with the house of the same name at Bingley (Yorkshire). I really enjoyed Gawthorpe. Unfortunately, because there were 'on loan' items from various sources on display within the house, we weren't allowed to take photographs inside. 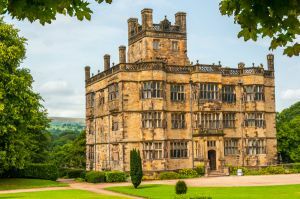 That's a shame, for what really impressed me about Gawthorpe was the beautifully panelled interior, rich with intricate carvings and Jacobean plasterwork. Most of the focus at Gawthorpe is on the textile collection, which is so diverse that it could easily stand alone as a separate museum. That word 'museum' sums up Gawthorpe rather well; it does feel much more like a museum than a historic family home. 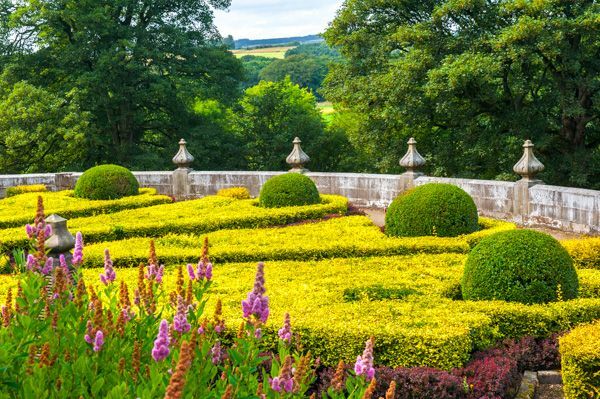 Outside the house are two small areas of formal garden; a parterre on a terrace below the house, and a small formal area beside the house. 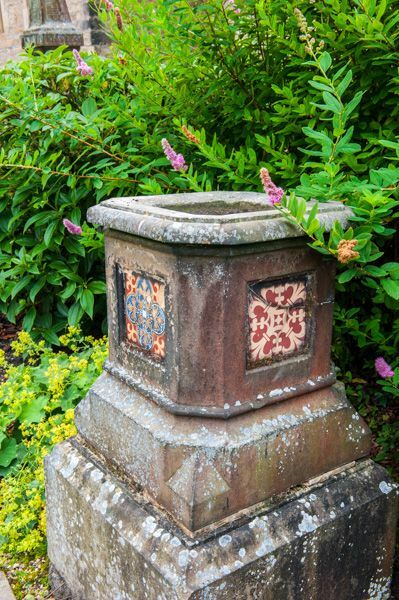 The gardens lead to a small, ornately carved garden seat, in Renaissance style. In front of the house is a terraced lawn, and beyond that, stone steps lead to trails through woodland. The estate itself is heavily wooded, so the actual area of garden around the house is quite minimal. 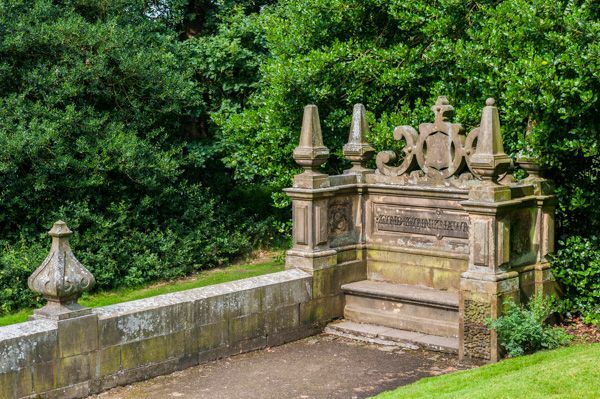 If you are interested in textiles and lacework, Gawthorpe could take several hours to explore. If you are not quite so avidly into period textiles, then you should be able to enjoy the house in an hour or so. Location: On the A671 (exit 8 off the M65 towards Clitheroe, then towards Padiham).